The largest market debut in the U.S. this year is by a Chinese delivery service. ZTO Express raised about $1.4 billion in an initial public offering on the New York Stock Exchange. That eclipses the $1.3 billion IPO raised in July by Japanese instant messaging firm Line (LN), which listed in New York and Tokyo. ZTO's listing is the biggest by a Chinese company in the U.S. since Alibaba (BABA) raised a record breaking $25 billion in 2014, according to Dealogic. But unlike Alibaba and Line, which both surged about 30% on their first day of trading, ZTO was a dud on its Wall Street debut. The stock dropped nearly 6% when it opened and fell as much as 10% by late morning. Still, investors will be watching ZTO closely because of its ties to Alibaba. 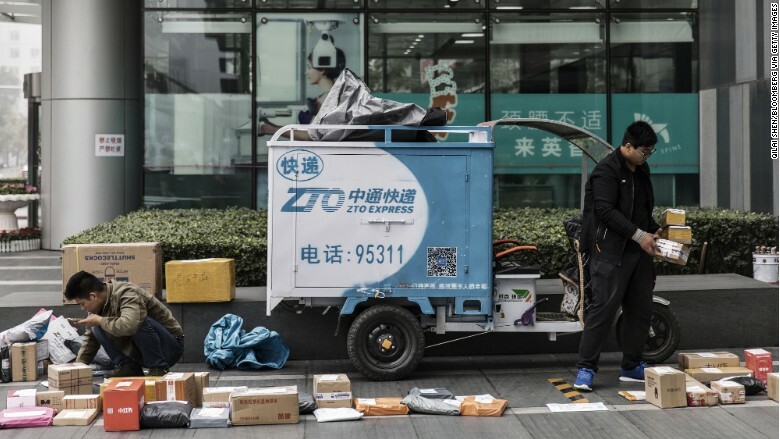 Between 75% and 80% of the parcels handled by ZTO (ZTO) in recent years came from Alibaba's online shopping platforms, the delivery firm said in a filing. China is the world's most populous country and second biggest economy. Unsurprisingly, its express delivery market is enormous. Last year, 20.7 billion parcels were delivered across the country, dwarfing the 13.4 billion in the U.S., according to a report from iResearch cited by ZTO. ZTO is one of four companies that account for more than half of China's huge market. It sold 72.1 million shares at $19.50 each. The company now has a market value of about $13 billion. ZTO chief financial officer James Guo said Thursday that the company was excited about the offering, even though the stock was lower. Guo added that ZTO was looking to expand further in China, where it has little competition from companies such as UPS (UPS) and FedEx (FDX), and also wants to partner with global logistics firms to gain a presence in the United States and other markets. 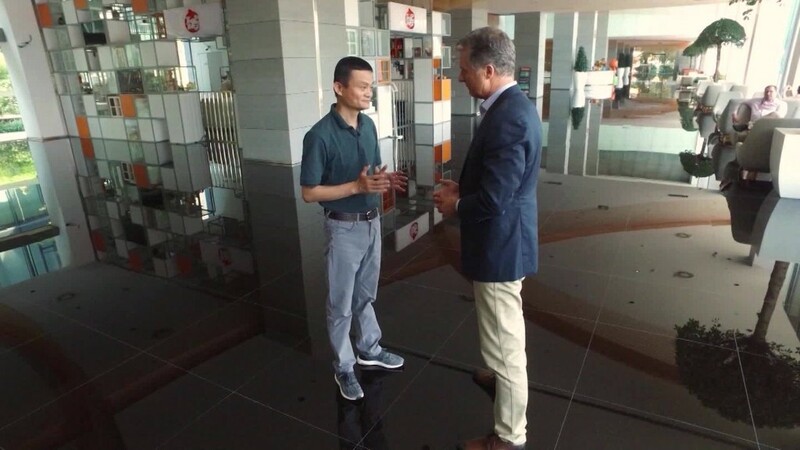 ZTO was in talks with Alibaba rival JD.com (JD) about shipping more goods for them, and was having conversations with Amazon (AMZN) as well, Guo said. "We aspire to be a global logistics company. A U.S. listing for our stock will help us enhance brand awareness with business partners in the West," Guo said. The banks who arranged the IPO have the option to buy another 10.8 million shares, which could increase the total value of the IPO to $1.6 billion. Chinese listings in the U.S. fell sharply last year. Just six companies went public for a total of $349 million, according to Dealogic. That compares with 14 companies in 2014 that raised a total of $29.1 billion, including Alibaba's mammoth sale. Chinese companies wanting to IPO at home face a long wait because of bottlenecks in the approval process, so companies such as ZTO are choosing to list elsewhere. There have now been six Chinese market debuts in the U.S. this year, generating a total of $2 billion, according to Dealogic. The biggest IPO worldwide so far this year was also by a Chinese company. Postal Savings Bank of China raised $7.4 billion in Hong Kong last month. -- Nanlin Fang and Paul R. La Monica contributed to this report.